This month’s imaging object is a single star shot – this time I’ve gone for Regulus in Leo. 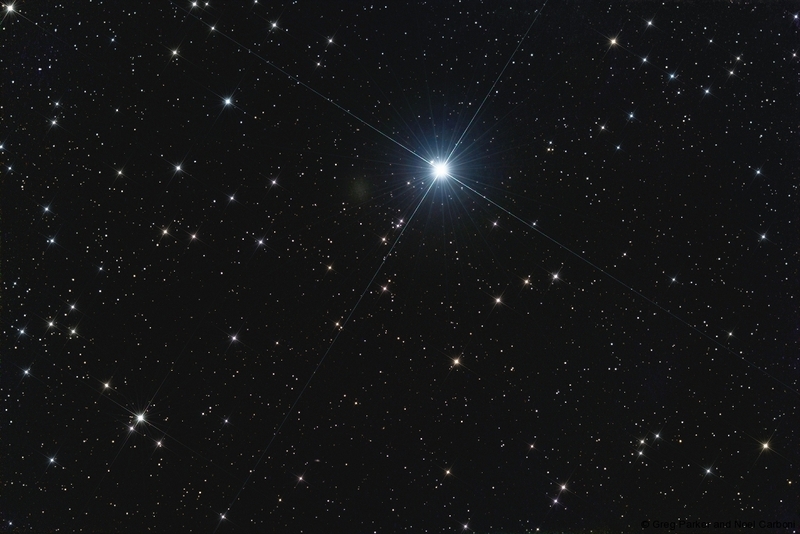 A nice bright star central to an image can make a spectacular picture, and Regulus is no exception. Taken using the Sky 90 and M25C with 4-minute subs and a couple of hours total exposure time, this is the sort of result you can expect. However – what I didn’t expect was to see a trace of the dwarf galaxy Leo 1, which looks like a tiny wisp of a cloud right next door to Regulus! This was pretty much unexpected and I believe it is due to the superb contrast provided by the Sky 90 – I can guarantee that I wouldn’t be able to see Leo 1 in a similar Hyperstar III image. It would be interesting to know whether you can pick up Leo 1 using reflectors and CCD cameras with Regulus providing it’s own unique form of “light pollution” in this region. Until April’s IOM – clear skies!